Some time back, may be 2 or 3 years back, I was asked by one of my senior colleagues, if clots can be removed from a patient of brain stroke. I wondered how a clot can be removed from a small vessel running in the brain; I was not sure, answered, I do not know. But, it is possible now-a-days; of course, if patient arrives within the correct time in the hospital having the facility. Largely, it is not possible in India. · First is ischemic stroke due to blockage of artery supplying blood to the brain by a clot, developing there, called thrombosis, something similar to the heart stroke; or a clot lodged in brain from other parts of the body called embolism. · Second is hemorrhagic stroke, due to bleeding from artery. A thrombus or embolism can be treated in two ways, one by removal by devices; or second, some clot dissolving medications can be delivered at the site of thrombosis through arterial route, or through systemic intravenous therapy. The warning symptoms of stroke are to be known to public, so that the valuable post-stroke time can be optimally utilized; which is 3-00 hours for best results; from 3.0 to 4.5 hours with good results. After 4.5 hours, there may not be any benefit. Sudden inability to use limb/limbs or feeling of weakness that increases gradually to a state of paralysis/paresis; which most commonly present in one side of body. Twisting of face to one side. Slurred speech or absent of speech. Sudden fall down from upright position. Inability to close eyes completely, etc. A benefit associated with quick thrombolytic therapy is mainly to prevent irreversible damage to the brain cells by restoring blood flow in the affected blood vessel. There is certain guidelines/algorhythm to be followed to select the suitable patients for the therapy. The most important among those is to establish that the stroke is not due to intra-cranial/cerebral hemorrhage. There are many criteria either to include or exclude a patient for the treatment. Mostly, NINDS inclusion and exclusion criteria for thrombolytic therapy are taken in to consideration. Thrombolysis is usually achieved by the agent called tPA (Tissue Plasminogen Activator); the recombinant tissue plasminogen activators (r-tPAs) include alteplase, reteplase, and tenecteplase (TNKase). Additional r-tPAs, such as desmoteplase, are under clinical development, derived from vampire bats. The therapy is given either intra-arterially at the thrombus or intravenously; studies find no difference in the ultimate outcome of treatment as regards to any particular route of administration of r-TPAs. The devices used for removal of clots from the blood vessels are Penumbra and Merci Retriever. In penumbra the thrombus is sucked into the device; whereas, Merci Retriever uses a spring like coiled end to drag the clot out. 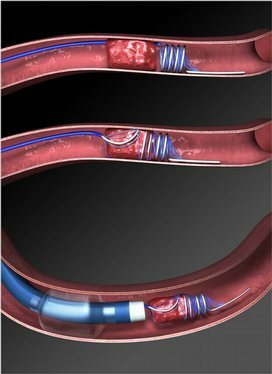 FDA approval for the Penumbra aspiration device was received by the company in January 2008, when it was judged to be "substantially equivalent" to another currently approved mechanical device, the Concentric Balloon Guide Catheter (Concentric Medical Inc) for the indication of revascularization of patients with acute ischemic stroke secondary to large vessel occlusive disease. The name MERCI is an acronym for Mechanical Embolus Removal in Cerebral Ischemia; designed by University of California, Los Angeles in 2001. 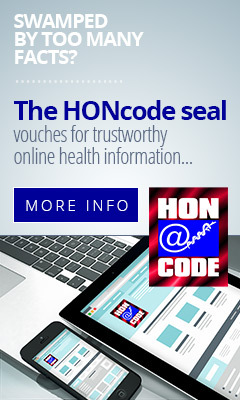 It was first device to be approved by FDA in August 2004 for removal of blood clots in acute ischemic stroke. Sometimes, in selected cases, mostly in a little late case, both mechanical device and r-TPA are used to get good results. The crucial aspect of getting good result from the above treatments is recognizing the symptoms of stroke and arrival in a well equipped hospital within the prescribed time limit.